40 Years of Proven Success & Nothing but Growth Ahead! AMSOIL dealership offers you a unique business opportunity to enter and excel in the motor oil industry. Thousands call this their full time career and many others call it their retirement security plan. Whichever way you look at, the current North American trend is owning your own small business! Above all, our team provides new dealers with State-of-the-Art Support. Everything you need to begin and build your business is instantly available from our support team! Additionally you will receive professional business tools to get started with your Dealership at absolutely no cost to you ! An AMSOIL Dealership is the ideal start-up opportunity for those who want to own their own business, be their own boss and set their own goals. The AMSOIL business opportunity is versatile and dynamic to an extent wherein, a person can create and alter his/her business to meet up to their expected level of competence. In other words, the achievable escalation can be driven without boundaries. We provide training materials, business tools, administrative assistance & technical support to build successful dealerships. Scope in Synthetic Motor Oil Business Synthetic motor oil industry has tremendously benefited from a rapidly expanding market share due to various reasons. As you might be aware lubricant industry is very large. US alone consumes over 2.1 billion gallons of lubricants annually. Since the introduction of the world's first synthetic motor oil in 1972 by AMSOIL, the market share for synthetic lubricants have consistently expanded. In 2005 synthetic lubricants accounted for 5% market share. In 2010 synthetic market share expanded close to 9%, which is almost twice the market share growth from 1972 to 2005. This trend of market share expansion is expected to continue to accelerate in the coming years. In the near future synthetic market share is expected to reach 50%. This tremendous growth is due to consumer recognition & acceptance of synthetic lubricant technology as well as new car manufacturers developing higher performing drive-train that require the use of high quality synthetic lubricants as the only option. Amidst all major motor oil manufacturers, AMSOIL stands as "The First" & "The Best" in the world for quality, performance, innovation & track record. AMSOIL is also the only company that adopts direct selling, the basis of this tremendous business opportunity. Lubricants are also consumable products like groceries. Dealers who position themselves appropriately in this business will benefit from repeat & residual income. This business model results in client customer "retention & accumulation" for consistent growth even in the worst of economy. AMSOIL dealership business growth history has proven to overcome every recession in the last 4 decades with consistent growth. This is due to synthetic motor oil industry growth as well as the business model that provides repeat & residual income for AMSOIL dealers. How do I become an AMSOIL Dealer? Although AMSOIL dealership comes as an immense opportunity, it does not require a high start up cost or complicated paper work. Setting up your dealership is very simple. You can do it online by clicking on the 6 months or 1 year registration button. It is recommended that you fill out the form below to receive detailed emails pertaining to AMSOIL business and training. AMSOIL Dealers receive product discounts of approximately 25% - 35% (dealer cost). Dealers also receive additional discounts in the form of commission credits on all products either sold or purchased. As an AMSOIL dealer if you buy just $100 worth of AMSOIL products annually for your own consumption or to supply to your acquaintances, the annual dealership fees will be covered in lieu of the dealer discounts. Which means your dealership rights pays for itself! There are no minimum or maximum order requirements or restrictions. In addition, your dealership have the right to participate in all of the business building programs to establish a steady stream of recession proof income. Refer the "How Do I Build My Business" section for more details. How Do I Build My Business? Once I Become an AMSOIL Dealer How Do I Build My Business? AMSOIL dealership offers six profitable programs with which your business can be established. With such nominal investment you can enjoy a business opportunity only known to dealerships requiring thousands of dollars as capital cost. Refer to "Profits Without Over Heads" to get an idea of the business opportunity. As an independent AMSOIL Dealer, you can be creative in adopting marketing strategies, which will suit your life style and financial backdrop. We will endeavour to assist you at every stage in your business by disclosing marketing strategies and materials prepared by professionals in the industry; rapidly you will realize the power of team work by utilizing time tested strategies and e-business techniques. This applies for any business where you need industry related training and leadership. Our team will provide that at no cost to you, simply because our success depends on yours and we are committed to being successful! Make sure to complete the form below to receive dealership and training emails. You also receive unlimited phone support from your servicing dealer. Set up business accounts and earn dealer profits as long as they are in business! About Retail Account: AMSOIL offers special wholesale factory direct pricing for retail businesses. AMSOIL ROTS (Retail-On-The-Shelf) Accounts are set up for retail outlets such as automotive service centers, auto parts shops, quick lube centers, hardware and sporting goods stores. These stores stock AMSOIL products on their shelves to install or sell to their customers. About Commercial Accounts: AMSOIL offers special wholesale pricing for commercial clients. Commercial accounts are set up for businesses which operate vehicles, equipments and machinery purchasing lubricants for the performance of their business (not for resale). Example: construction, industrial, farming, trucking, taxi fleets, police / government departments etc. As an AMSOIL dealer, you have the opportunity to identify such businesses and set them up with "AMSOIL Retail or Commercial" factory direct wholesale accounts. Your business accounts buys AMSOIL products factory direct at wholesale cost. AMSOIL handles shipping & billing, while you are paid dealer commissions in the background. All your accounts are secured under your dealership. No other dealer can service or sell products to your protected accounts. There are no limit to the number of accounts a dealer can establish and service. These accounts provide steady stream of income as long as they are in business and sell / consume AMSOIL products. AMSOIL offers dealers the opportunity to own and operate a profitable business part or full time. You can establish accounts in any part of North America! There are no territorial restrictions. As a business owner / entrepreneur there are other benefits like tax savings. Leverage Your Business: In addition you can establish your own dealer network. Sponsor & train new dealers. When your dealers progress in their business your profits and bonuses will increase significantly. You can also establish "Fund raising accounts" such as car, boat clubs, religious organizations etc. The members of the non-profit organization will purchase AMSOIL products at retail price the proceeding profits are credited to the organization and your dealership earns dealer commission credits. Obviously there is more than one way to establish & diversify your AMSOIL dealership business which will be recession proof. Virtually sky is the limit... ! AMSOIL is an established & a reputable company with a proven line of the highest quality products in an expanding market. A rock-solid business opportunity offering a variety of lucrative sales programs featuring generous profits, minimal administrative responsibility and a multitude of sales aid and support all designed to help achieve your financial goals. How Much Can I Earn as an AMSOIL Dealer? AMSOIL dealership opportunity has the potential to earn high six-figure income, obviously that comes with many years of hard work, persistence and entrepreneurship. AMSOIL opportunity has created thousands of entrepreneurs since 1972. If you are looking for a legitimate business opportunity in an expanding market, this opportunity could be your call. However, AMSOIL is not a get-rich-quick opportunity & there is no such thing as free lunch. Real business does not work that way. 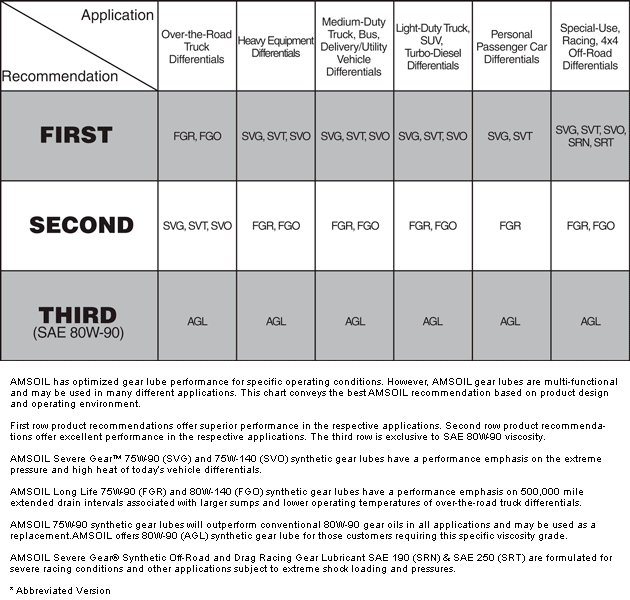 AMSOIL has developed the G-85 document to explain the AMSOIL income opportunity. This document will walk you through the various programs & the income opportunity in a simple, easy to understand, step by step presentation for new dealers to begin with this opportunity. Click here to download the G-85 document. Review the document and then watch the voice over presentation by clicking on the "G-85 Presentation" video icon. AMSOIL is an ethical company that respect & look after its hard working dealers through various policies and bonus programs. This includes ongoing incentives, bonuses & year end growth bonus. AMSOIL fiscal year (financial year) is from December 1st to November 30th, this allows AMSOIL to process and pay yearly growth bonuses just in time for Christmas! The current North American trend is small business. Owning your own business guarantees you the freedom to work on your own terms and the opportunity to set your own goals. AMSOIL offers all the advantages of a franchise without the large initial investment. There are many advantages to the AMSOIL opportunity that you simply won't find in other business or the typical 9 to 5 corporate world. You see it every day in the newspapers and on the news. Thousands lay off with no-place to turn to. Do yourself a favor now and start the process of earning a second income. You never know when you may need to fall back on it as a primary income source. 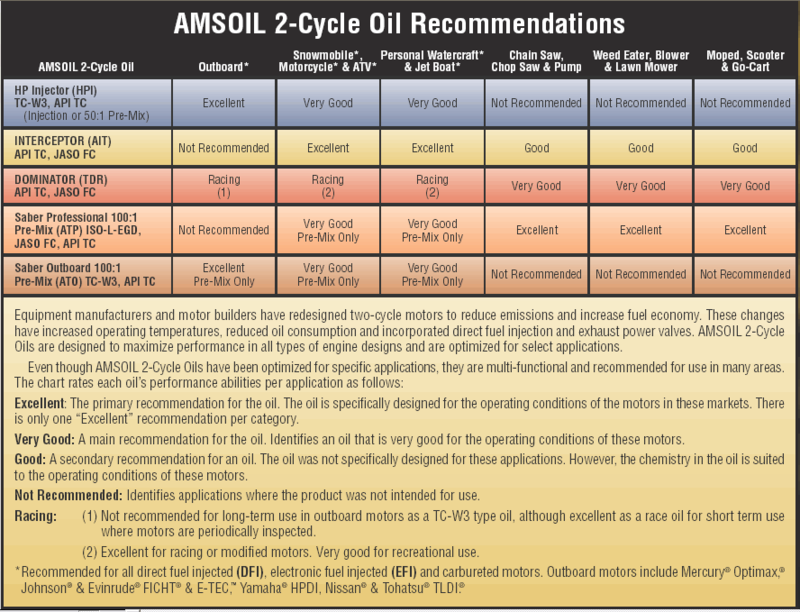 What is there to get excited about AMSOIL business? Excitement begins when you personally encounter AMSOIL's product superiority. It is a moment when you start believing in something new & brilliant, a phenomenon that has an opportunity built into it to shape your financial future. Many of our preferred customers upgrade their accounts to become AMSOIL dealers for the same reason - world's best products and opportunity in an expanding & lucrative market! AMSOIL products are the driving force behind this opportunity and they are guaranteed to get you excited. 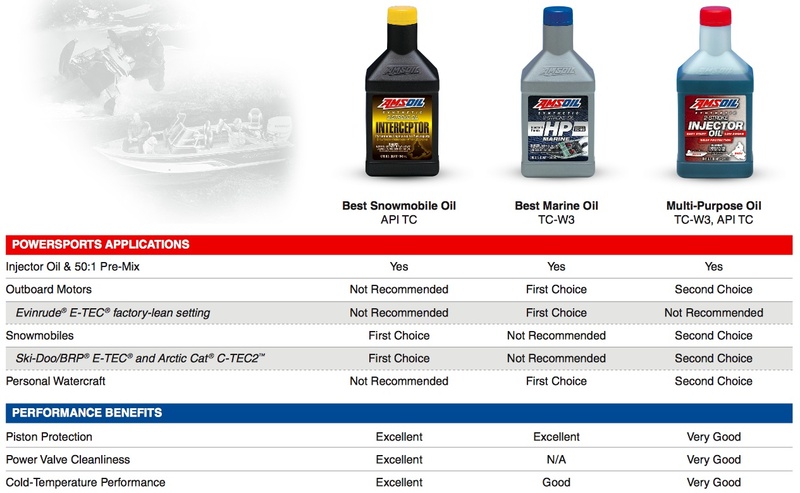 Firsthand knowledge from your personal use of AMSOIL products is the most effective way to understand the AMSOIL difference. You will soon wonder why every car in North America is not running on AMSOIL. Only AMSOIL dealers can make that happen, the market is wide open... Order AMSOIL products for your next oil change and experience the EXITEMENT. But wait... Become an AMSOIL dealer and purchase at dealer cost & save 25-35% that alone will pay for your dealership cost ! While starting up a business, one has to follow certain fundamental principles. One of them is field study & research. If you are reading this then you have come to the right place to begin your fieldwork. Fill out the form below and we will send you more detailed business information & keep you posted on various aspects of AMSOIL business opportunity and about the motor oil industry. Get access to videos that further increase your chances of understanding AMSOIL dealership and products. We are committed to providing the best training & tools for our new dealers. Strong leadership is an absolute essential for success. We not only provide strong leadership but also willing to help any individual regardless of age or education background. This is not rocket science, people from all walks of life have established large dealerships, if you believe in yourself, you can also take this opportunity as a vehicle to secure your financial future.